Hitchcock Wright and Partners (HWP) is offering a flexible rent free deal on a 1,381 sq ft retail unit in Westmorland Shopping Centre, Kendal, Cumbria. The Liverpool based agent has been marketing the property since January 2015, and hope this latest incentive can generate interest in the vacant unit. The unit was previously occupied by Conlons Opticians, which was acquired by Vision Express in December 2014. Vision Express continue to trade from its original unit within Westmorland Shopping Centre. The successful party will be able to occupy the retail unit, by way of a sub-lease, for free, up until September 2018, with the incoming tenant only being responsible for insurance, service charge and business rates. These costs total approximately £23,400 pa and the deal will be subject to landlord approval. The premises are held on a lease for five years from 29 September 2013 at a current rental of £29,100 per annum. The shop is located on the upper level of Westmorland Shopping Centre and neighbouring traders include many national multiples including Topshop, Superdrug, GAME, Clinton Cards and Waterstones. As well as a great mix of high street brands, the centre has its own indoor market selling everything from local produce, clothing and crafts. The centre opened in 1988 and has an annual footfall of more than four million people. The 1,381 sq ft unit is in great condition, and comprises of 1,251 sq ft ground floor sales space and 130 sq ft of remote storage. HWP say this is a great opportunity for a start-up business or an independent retailer to take up the space and save nearly £30,000 a year in rent costs. 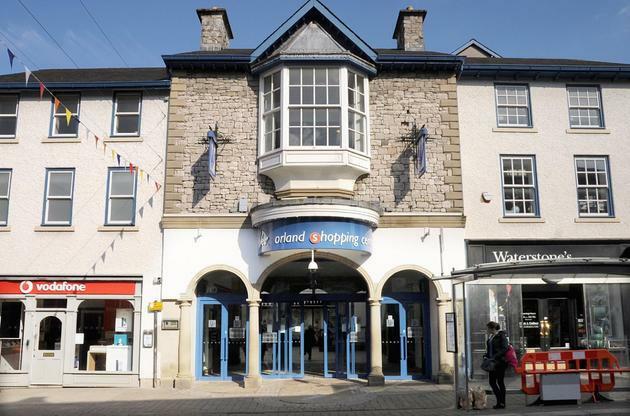 Partner, Matt Kerrigan says: “This retail unit in Westmorland Shopping Centre is an attractive business opportunity for a small business or an independent retailer to set up shop in the heart of Kendal town. “We are now offering a flexible rent-free deal on the retail unit, with the incoming tenant only being responsible for business rates, service charge and insurance.